Posted	 February 9, 2019 by	Sikh Dharma International & filed under 01-Guru Nanak, Bani, Dharmic Education, Sikh Dharma Technology. The Mul Mantra will change your fate. It removes the fate and changes the destiny to complete prosperity. Recited for 11 minutes a day, it rids one of fear and keeps one in touch with the very foundation or root of life, the soul. Reciting it rids one of all enemies. The Mul Mantra is the foundational teaching of the Sikh way of life. 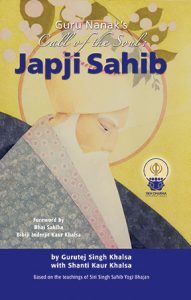 The Siri Singh Sahib often said that the wisdom contained in the Siri Guru Granth Sahib was distilled into the Japji Sahib, and the wisdom of the Japji Sahib was distilled into the Mul Mantra. Japji Sahib begins with the Mul Mantra, the root mantra. Siri Guru Granth Sahib begins with Mul Mantra and it is interesting to note that this is the only place where the Mul Mantra appears. The Mul Mantra is a precious teaching. These twenty-six words paint a vision of the characteristics, form, and aspects of the One God. Today, we may not think that this divine proclamation of Guru Nanak is revolutionary, yet at the time it was first uttered it was radical, even heretical. The words of the Mul Mantra gave birth to a spiritual nation and changed the course of history. The Mul Mantra is short and simple yet it is difficult to understand the depth and wisdom of it. Everything we need to know about the nature of the universe is stated in the Mul Mantra. 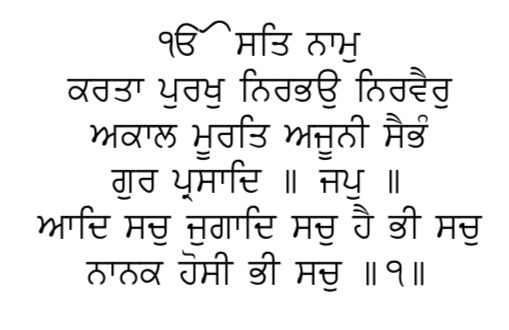 O Nanak, forever and ever True. Are we reciting the mantra 11x or for 11 minutes? 11x. In our email, it was a typo saying 11 minutes. Sat Nam. Where could I find the version Acapella Jatha – from the album “Dukh Sukh”, I can’t find it. 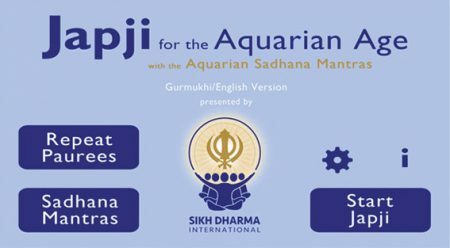 I have a question: In Guru Nanak’s Call of the Soul: Japji Sahib there is the Adi Kriya the author recommends to practice along when reciting the Mul Mantra. I wonder if this could accompany the 11x recitation of the mantra that has been stated for this first week. 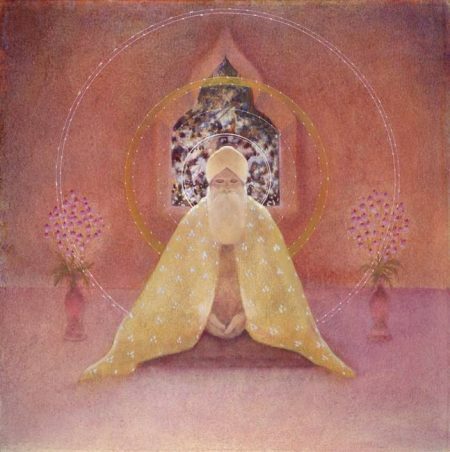 On the other hand, my practice takes place during ambrosial hours so I have plenty of time to do both the kriya and a longer recitation (21 min). Thank you very much! Sat Nam!